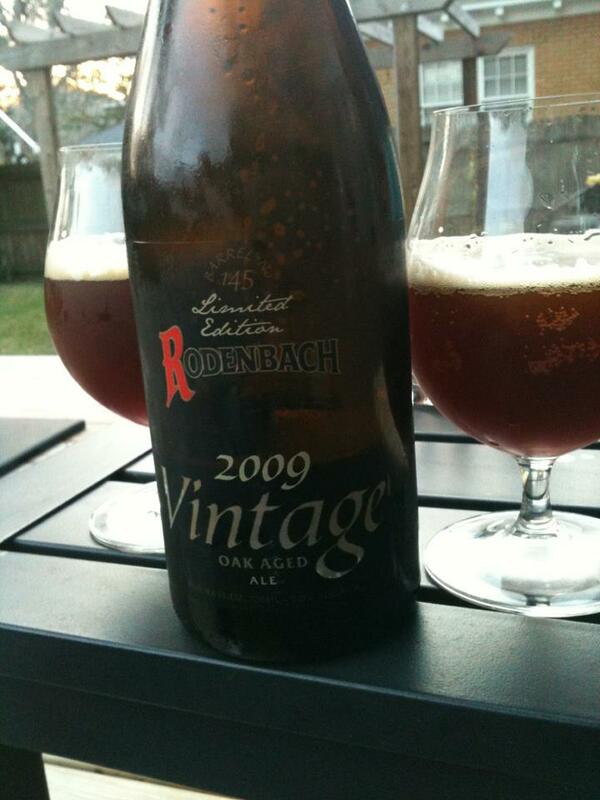 Rodenbach 2009 Vintage Oak Aged Ale is a Flanders Red Ale, aged 4 years. When I first had the 2008 Vintage it opened my eyes to sour ales, and I am finding myself less impressed with the 2009 Vintage. 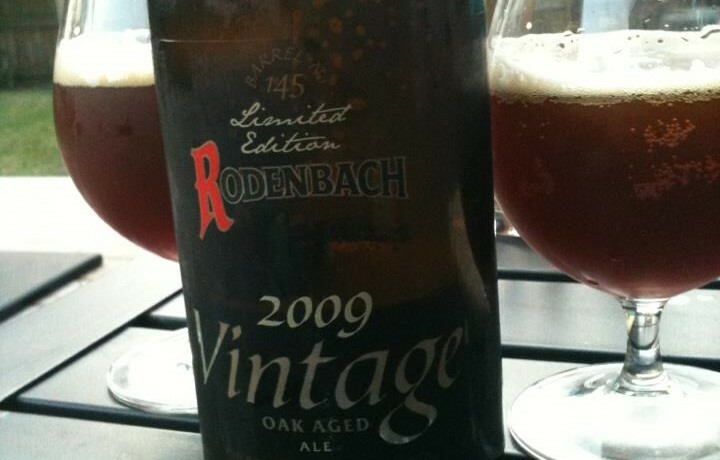 Which is not to say that this isn’t quite good (in fact I would pick up another 2009 if I saw one, and I am already looking out for a 2010! ), but I wasn’t nearly as awed as I was “the first time”. I am getting a much wider variety of fruit on the 2009 bottle, in addition to cherries and apples are notes of strawberries and white grapes. 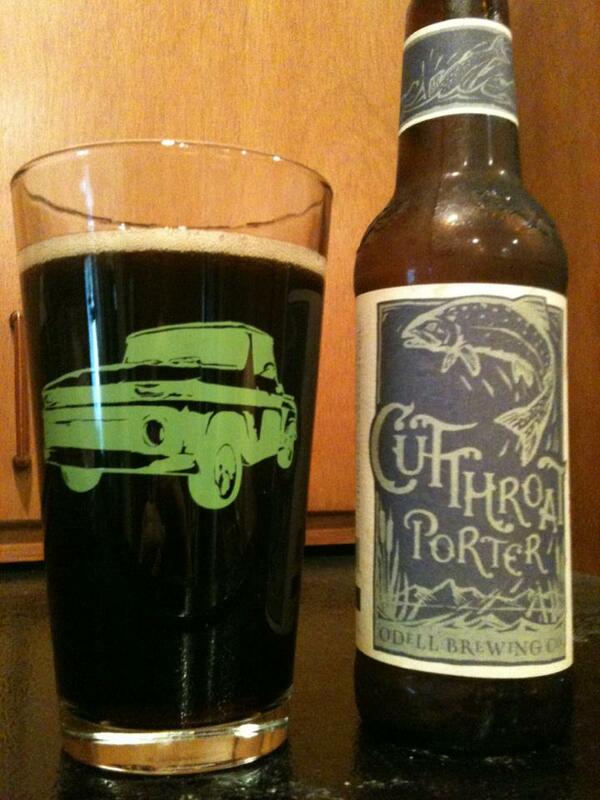 I’m not picking up as much of the barrel or vanilla notes that I did in the 2008 version. The tartness is still there, but less of a sour experience this year. 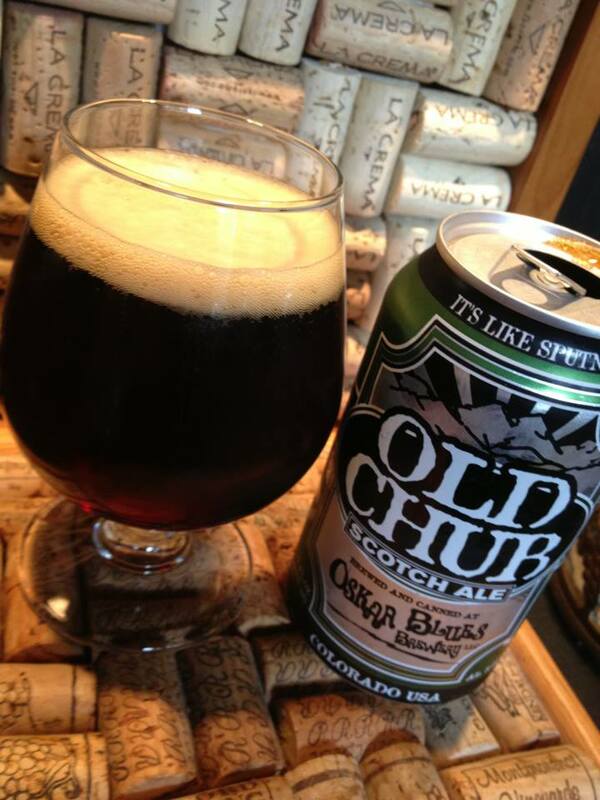 Although the beer will change slightly from year to year, the fact of the matter is that I have been drinking so many more intensely sour ales and my palate has certainly changed.